Steven Salmoni’s recent publications include Landscapes, With Green Mangoes (Chax Press, 2011); poems in Fact-Simile, N/A, Spinning Jenny, Versal, Sonora Review, and Bombay Gin; and articles in The Salt Companion to Charles Bernstein, Studies in Travel Writing, and The Journal of Narrative Theory. A selection of his work was included in the anthology The Literary Field Guide to the Sonora Desert (U of Arizona Press, 2016). 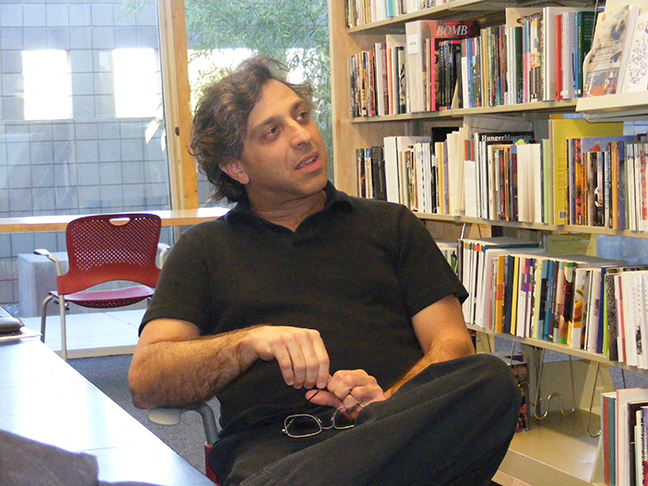 He received a Ph.D. from Stony Brook University and is currently Department Chair of English at Pima Community College, Northwest Campus in Tucson, AZ. He also serves on the Board of Directors for POG, a Tucson-based literary and arts organization that promotes an annual reading series. Steven Salmoni is a contributor to Nerve Lantern issue 10.